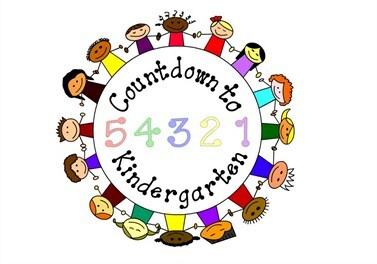 Ready, Set, Let’s Go to Kindergarten! September means backpacks, books, and back to school for kids. Four and five-year-old children may have attended preschool but this is their initial venture to “big kid” school. This may include a larger building, a first ride on a school bus, a longer school day, a new teacher, and meeting new children. Kindergarten is a big year in many areas—academic, social, physical, and emotional. Here are some tips to prepare your child for a great start. This entry was posted in Kindergarten, School Transitions on August 23, 2014 by admin. As September draws near, the lazy days of summer and joys of vacations and summer camps will soon be replaced with tweens and teens needing to manage the academic demands of middle school. This means balancing time with friends, extracurricular teams and activities, and schoolwork. Yes, schoolwork! Children everywhere are anticipating long hours of homework and time spent studying for exams. Implementing good habits early in the year will help improve academic performance and reduce stress at home. Here are some tips to share with your child to help get them off to a great start. This entry was posted in Organization Skills, School Transitions and tagged Middle School, Organization Skills, School Transitions on August 23, 2014 by admin. Does your child need to use repetition to make needs known? Do others have trouble understanding your child’s speech? Does your child have difficulty with articulation and making speech sounds? PROMPT is a specialized technique, utilized by expertly trained speech and language pathologists to enhance speech production. PROMPT (Prompts for Restructuring Oral Muscular Phonetic Targets) is a program designed to help individuals with varying speech difficulties produce sounds so they can articulate properly and interact verbally with others. This entry was posted in Speech Therapy on May 25, 2014 by admin. Does your child fidget constantly or have trouble sitting still? Does the teacher complain that your child bumps into peers during circle time at school? This entry was posted in Occupational Therapy on May 25, 2014 by admin.